Step out of Los Angeles with an excursion to Disneyland Park in Anaheim--about 36 minutes away. Pack the 16th (Thu) with family-friendly diversions at Universal Studios Hollywood. There's much more to do: see the interesting displays at The Getty Center, put a fun spin on your tour with Fantastic Race, see the sky in a new way at Griffith Observatory, and take in the waterfront at Santa Monica Pier. The Route module can give you travel options from your home to Los Angeles. In May in Los Angeles, expect temperatures between 75°F during the day and 59°F at night. Finish up your sightseeing early on the 17th (Fri) so you can travel to Las Vegas. Take a break from Las Vegas with a short trip to Hoover Dam in Boulder City, about 50 minutes away. Next up on the itinerary: make a trip to Bellagio Fountains, try to win big at Bellagio Hotel and Casino, buy something for everyone on your list at The Grand Canal Shoppes at The Venetian, and see the interesting displays at The Mob Museum. To see more things to do, other places to visit, photos, and more tourist information, you can read our Las Vegas trip planning app . Getting from Los Angeles to Las Vegas by flight takes about 4 hours. Other options: drive; or take a bus. Traveling from Los Angeles in May, expect nights in Las Vegas to be about the same, around 64°F, while days are somewhat warmer, around 87°F. Wrap up your sightseeing on the 20th (Mon) early enough to travel to Grand Canyon National Park. On the 22nd (Wed), hike the day away at Bright Angel Trail. And it doesn't end there: take in breathtaking views at Grand Canyon South Rim, stroll through South Kaibab Trail, trek along Rim Trail, and get curious at Yavapai Geology Museum. For ratings, traveler tips, maps, and tourist information, you can read our Grand Canyon National Park planner . Do a combination of car and flight from Las Vegas to Grand Canyon National Park in 4.5 hours. Alternatively, you can drive; or take a shuttle. Traveling from Las Vegas to Grand Canyon National Park, you'll lose 1 hour due to the time zone difference. While traveling from Las Vegas, expect slightly colder days and much colder nights in Grand Canyon National Park, ranging from highs of 68°F to lows of 33°F. Finish up your sightseeing early on the 23rd (Thu) so you can travel to New Orleans. Start off your visit on the 24th (Fri): take in the architecture and atmosphere at St. Louis Cathedral, examine the collection at The National WWII Museum, then appreciate the extensive heritage of Garden District, and finally test your team's savvy at Clue Carre - New Orleans' First Live Escape Game. Here are some ideas for day two: appreciate the extensive heritage of Jackson Square, appreciate the extensive heritage of French Quarter, and then stroll through New Orleans City Park. To find where to stay, maps, and other tourist information, go to the New Orleans online holiday planner . Do a combination of bus and flight from Grand Canyon National Park to New Orleans in 10.5 hours. Alternatively, you can do a combination of shuttle and flight; or drive. The time zone difference when traveling from Grand Canyon National Park to New Orleans is 1 hour. Traveling from Grand Canyon National Park in May, New Orleans is much hotter at night with lows of 70°F. Wrap up your sightseeing on the 25th (Sat) early enough to travel to Orlando. Pack the 26th (Sun) with family-friendly diversions at Universal's Islands of Adventure. Have a day of magic on the 27th (Mon) at Walt Disney World Resort. 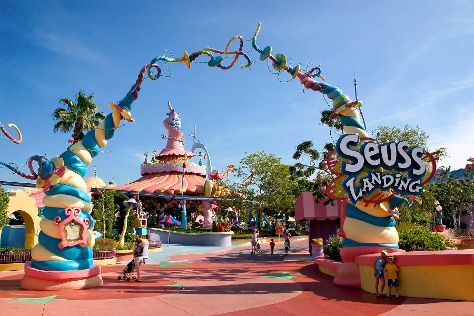 Next up on the itinerary: find something for the whole family at Universal Orlando Resort. To find maps, traveler tips, ratings, and tourist information, you can read our Orlando day trip planning tool . Traveling by flight from New Orleans to Orlando takes 4.5 hours. Alternatively, you can drive; or take a bus. The time zone difference when traveling from New Orleans to Orlando is 1 hour. When traveling from New Orleans in May, plan for somewhat warmer days and about the same nights in Orlando: temperatures range from 88°F by day to 69°F at night. Wrap up your sightseeing on the 28th (Tue) to allow time to travel to Gatlinburg. Get out of town with these interesting Gatlinburg side-trips: River Rafting & Tubing (in Hartford) and Roaring Fork Motor Nature Trail (in Great Smoky Mountains National Park). There's much more to do: take in the awesome beauty at Mount LeConte, sample the fine beverages at Sugarlands Distilling Company, stroll through Chimneys Picnic Area, and admire all the interesting features of Little River Road. To see maps, traveler tips, photos, and more tourist information, refer to the Gatlinburg online trip planner . Do a combination of flight and taxi from Orlando to Gatlinburg in 4.5 hours. Alternatively, you can do a combination of flight and car; or drive. Traveling from Orlando in May, expect Gatlinburg to be a bit cooler, temps between 79°F and 57°F. Cap off your sightseeing on the 31st (Fri) early enough to travel to Washington DC. Washington DC is known for museums, historic sites, nightlife, zoos & aquariums, and parks. Your plan includes some of its best attractions: see the interesting displays at National Air and Space Museum, contemplate the waterfront views at Tidal Basin, get engrossed in the history at United States Holocaust Memorial Museum, and ponder the world of politics at United States Capitol. To find other places to visit, maps, and other tourist information, go to the Washington DC trip planner. Getting from Gatlinburg to Washington DC by combination of taxi and flight takes about 4 hours. Other options: do a combination of taxi, flight, bus, and subway; or drive. In May, plan for daily highs up to 76°F, and evening lows to 58°F. Finish up your sightseeing early on the 3rd (Mon) so you can travel to New York City. New York City is known for museums, nightlife, shopping, historic sites, and parks. Your plan includes some of its best attractions: make a trip to Central Park, take in panoramic vistas at Empire State Building, admire the landmark architecture of Rockefeller Center, and wander the streets of Times Square. To find reviews, traveler tips, other places to visit, and tourist information, read our New York City road trip tool . Traveling by flight from Washington DC to New York City takes 3.5 hours. Alternatively, you can take a train; or drive. Expect a bit cooler weather when traveling from Washington DC in June: highs in New York City hover around 80°F, while lows dip to 65°F. Finish your sightseeing early on the 7th (Fri) to allow enough time to travel to Chicago. Chicago is known for museums, historic sites, nightlife, zoos & aquariums, and childrens museums. Your plan includes some of its best attractions: explore the world behind art at The Art Institute of Chicago, tour the pleasant surroundings at Lincoln Park Zoo, explore and take pictures at Wrigley Field, and see the interesting displays at The Field Museum. To see maps, more things to do, and tourist information, you can read our Chicago trip planning site . You can do a combination of bus and flight from New York City to Chicago in 5 hours. Alternatively, you can fly; or drive. The time zone difference moving from Eastern Standard Time to Central Standard Time is minus 1 hour. In June, plan for daily highs up to 81°F, and evening lows to 63°F. Wrap up your sightseeing on the 10th (Mon) early enough to travel to Yellowstone National Park. Spend the 13th (Thu) surrounded by wildlife at Grand Teton. 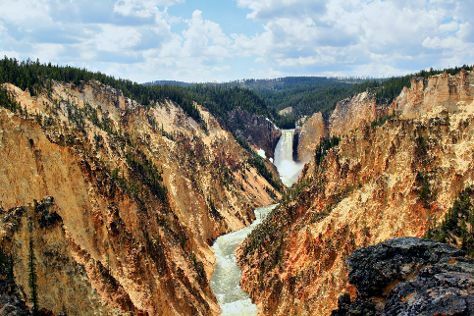 Spend the 12th (Wed) exploring nature at Yellowstone National Park. And it doesn't end there: take in breathtaking views at Grand Canyon of the Yellowstone, contemplate the waterfront views at Shoshone Lake, get great views at Lookout Point, and witness a stunning natural landmark at Grand Prismatic Spring. To see reviews, ratings, traveler tips, and tourist information, refer to the Yellowstone National Park trip planner. Getting from Chicago to Yellowstone National Park by combination of flight and car takes about 7 hours. Other options: do a combination of flight, shuttle, and bus; or drive. The time zone changes from Central Standard Time to Mountain Standard Time, which is usually a -1 hour difference. When traveling from Chicago in June, plan for little chillier days and colder nights in Yellowstone National Park: temperatures range from 66°F by day to 34°F at night. Finish your sightseeing early on the 14th (Fri) so you can travel to Seattle. On the 15th (Sat), take in panoramic vistas at Space Needle, admire the masterpieces at Chihuly Garden and Glass, then take a stroll through Pike Place Market, and finally examine the collection at The Museum of Flight. On the 16th (Sun), you'll have a packed day of sightseeing: meet the residents at Seattle Aquarium, then admire the masterpieces at Seattle Art Museum, then contemplate the waterfront views at Hiram M. Chittenden Locks, and finally tour the pleasant surroundings at Discovery Park. For reviews, traveler tips, and more tourist information, go to the Seattle road trip planning tool . You can do a combination of car and flight from Yellowstone National Park to Seattle in 5.5 hours. Other options are to do a combination of bus, shuttle, and flight; or drive. You'll gain 1 hour traveling from Yellowstone National Park to Seattle due to the time zone difference. When traveling from Yellowstone National Park in June, plan for a bit warmer days in Seattle, with highs around 74°F, while nights are warmer with lows around 57°F. Finish your sightseeing early on the 16th (Sun) so you can travel to San Francisco. San Francisco is known for nature, museums, nightlife, shopping, and childrens museums. Your plan includes some of its best attractions: take in the views from Golden Gate Bridge, buy something for everyone on your list at Ferry Building Marketplace, engage your brain at Exploratorium, and make a trip to Golden Gate Park. To see where to stay, traveler tips, photos, and tourist information, use the San Francisco road trip planning site . Fly from Seattle to San Francisco in 4.5 hours. Alternatively, you can do a combination of flight and train; or drive. In June, daytime highs in San Francisco are 71°F, while nighttime lows are 55°F. Cap off your sightseeing on the 19th (Wed) early enough to go by car to Yosemite National Park. Yosemite National Park is known for nature, trails, parks, scenic drive, and wildlife. Your plan includes some of its best attractions: take in the dramatic natural features at Glacier Point, take some stellar pictures from Valley View, trek along Panorama Trail, and take in the dramatic scenery at Yosemite Falls. Plan my Yosemite National Park trip by asking Inpirock to come up with tips and suggestions. Drive from San Francisco to Yosemite National Park in 4 hours. Alternatively, you can do a combination of flight and car; or do a combination of flight and bus. When traveling from San Francisco in June, plan for somewhat warmer days and slightly colder nights in Yosemite National Park: temperatures range from 79°F by day to 43°F at night. Wrap up your sightseeing on the 22nd (Sat) to allow time to travel back home.